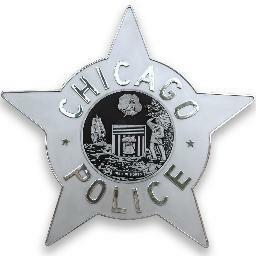 The Chicago Police Department brought 2018 to a close with another consecutive monthly decline in robberies, burglaries and motor vehicle thefts, and experienced continued reductions in crime throughout 2018 with fewer murders, shootings, robberies, burglaries and vehicle thefts than in 2017. Progress and partnership were key themes reflecting the Department’s efforts toward a safer Chicago this year. The ongoing reductions in violent crime were achieved in large part due to strengthened community partnerships, investments in data-driven policing and the creation of strategic decision support centers in 20 of the city’s 22 police districts. These nerve centers harness the power of gunshot detection technology that with integrated crime cameras and predictive analytics to deploy officers to the right places at the right times. 2018 also saw one of the highest levels of collaboration and partnership of local and federal law enforcement agencies including the FBI, ATF, DEA and the U.S. Attorney’s Office. These reductions also came as the Department seized over 9,500 illegal guns – the most in five years – and had the highest number of federal gun prosecutions in recent history. Manpower within the Department also improved, as the City of Chicago achieved its goal of adding more than 1,000 new officers in just under two years. Citywide, Chicago saw an 8-percent decline in criminal complaints in 2018, compared to 2017. This reduction is part of an ongoing trend, as crime is down 10 percent citywide since 2016. Chicago saw nearly 100 fewer murders in 2018, compared to 2017. This 15-percent reduction is the greatest drop in homicides of any major American city, outpacing New York (0.37 percent drop), Los Angeles (9.2 percent drop) and Houston (6.64 percent drop). Since 2016, murders have declined by 27 percent. Murders as a result of a shooting have declined 31 percent for this same period. Shootings also decreased by 14 percent, and are down by 32 percent since 2016. Robberies declined by 19 percent in Chicago, and fell by the same percentage over the past two years. In fact, 10 of the 22 Chicago Police Districts reported the fewest number of robberies since the year 2000. Burglaries continued to fall in 2018 as well, down 10 percent compared to 2017. Burglaries have steadily posted double-digit declines for the past four years. Motor vehicle thefts were also down 11 percent in 2018, compared to 2017. Over the past two years, vehicle thefts are down 10 percent. Carjackings also declined 19 percent this year compared to last year. These declines come as the Chicago Police Department launched a partnership with the U.S. Attorney’s Office and local and federal law enforcement teams to launch a Vehicular Hijacking Task Force. The Chicago Police Department has continued to work collaboratively with local and federal agencies to improve public safety. This includes the ATF, DEA, FBI and U.S. Attorney John Lausch, who was part of a joint investigation into drug and gun trafficking in September that resulted in 20 individuals facing federal charges. This investigation focused on drug sales within the city’s Little Village neighborhood and resulted in the seizure of 445 grams of heroin, 230 grams of cocaine and $97,770 in illegal drug proceeds. The Department has never had a better relationship with the U.S. Attorney than we do today. CPD has added more than 200 license-plate reader equipped police vehicles to its fleet, bringing the total number of these specialized vehicles to 240. The Department also has more than 126 pole-mounted license-plate readers and mobile booter vehicles used by partner agencies. This technology allows the city to match license plates against a list of stolen and wanted vehicles. CPD also worked with partners within the Chicago Transit Authority to add more than 500 high-definition cameras in and around the Red, Blue and Brown line trains. This initiative is part of the CTA’s Safe & Secure program that will ultimately add 1,000 new cameras and upgrade more than 3,000 older cameras throughout the system in an effort to improve rider safety. The Department is planning to provide cell phones for detectives to improve communication with victims and witnesses. This push is meant to provide investigators real-time access to police databases and tech tools, giving them a wider range of tools directly within their pockets. Chicago Police officers took nine percent more guns off the streets this year than last year, giving the Department the highest number of gun seizures in the last five years. That’s more than one illegal gun seized every hour of the year. The districts with the greatest number of seizures includes the 11th (Harrison), 9th (Deering), 7th (Englewood), and the 6th (Gresham). Most of these guns are semi-automatic handguns, but nearly 200 assault-style rifles were also recovered in 2018, including AK-47 and AR-15 rifles. And while there is still work to be done, the reduction is believed to have contributed to the overall drop in shootings. Mayor Rahm Emanuel and the Chicago Police Department pledged in 2016 to grow the Department by 970 sworn officers. On December 17, the Mayor and Superintendent Eddie Johnson commemorated the milestone of 1,000 new officers during a recruit welcome ceremony at the Chicago Police Education and Training Academy. This milestone comes on top of replacing officers who have retired or moved on from CPD. Thus, the total hiring over the two-year period is 2,352 new officers. As new officers have been added, another 1,241 individuals have been promoted to fill vacancies within the ranks. In November, Superintendent Johnson joined Mayor Rahm Emanuel, Alderman Emma Mitts, Alderman Ariel Reboyras and other business, civic and community leaders to proudly announce the next major step toward the development of a new, state-of-the-art Joint Public Safety Training Academy, as part of the city’s continued efforts to provide the best tools, technology and training for its first responders. The recent consent decree agreement lays out a series of comprehensive and required reforms to CPD training, including recruit, in-service, and pre-service promotion training. 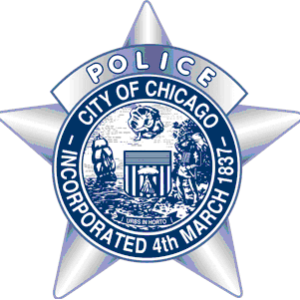 The Chicago Police Department is required to incorporate active learning, problem solving, scenario-based training, and other adult learning techniques into its training curriculum. The City has committed to providing appropriate training facilities that offer adequate access to safe and effective training. Construction on the 30-acre campus located in West Garfield Park is planned to begin in 2019. Commander Paul Bauer, Officer Samuel Jimenez, Officer Conrad Gary and Officer Eduardo Marmolejo were all memorialized after giving their lives to protect the citizens of Chicago. The funeral services were attended by thousands of uniform officers both within the city and from districts far and wide who traveled to Chicago to pay their respects. A nationally recognized pilot program in New York City, the District Collaboration Officer program will debut in January in Chicago’s 25th (Grand Crossing) district. The effort is meant to give officers more time and resources to build relationships with residents and business owners within their beat. The idea is to improve collaboration, communication and conflict resolution including helping find solutions to persistent neighborhood problems. Included in the pilot program are beat officers, detectives, CAPS officers and officers assigned to the Strategic Decision Support Centers. Earlier this year, CPD outlined its priorities and vision for improved training, community policing, supervision and accountability in the 2018 Next Steps For Reform. From increasing the number promoted supervisors to ensure officers have effective field leadership, designing the District Collaboration Officer Program to improve neighborhood collaboration, communication and conflict resolution, and providing Crisis Intervention Training for officers who can provide sufficient, timely response by CIT-certified officers to calls for service involving individuals in crisis, the Department continues to partner with its officers, the City of Chicago and the general public alike to proactively initiate impactful and sustainable reforms. CPD is also embracing the upcoming consent decree, which will also implement meaningful, long-term reform throughout the Department. – District 3 (Grand Crossing). Overall crime within the district declined by 19 percent in 2018 compared to 2017. Overall crime is also down by 19 percent for the two year period beginning in 2016. Shootings were also down by 20 percent in this district in 2018 compared to 2017. – District 4 (South Chicago). Shootings were down 33 percent in 2018 compared to 2017, and were down 30 percent over the past two years. – District 8 (Chicago Lawn). Murders were down by 28 percent in 2018 compared to 2017. Murders within the district were also down by 46 percent over the two year period beginning in 2016. Shootings were also down by 26 percent in 2018 compared to 2017 and were down 39 percent over the two-year period beginning in 2016. – District 9 (Deering). Murders were down 41 percent in 2018 compared to 2017. Murders within the district were also down by 51 percent over the two year period beginning in 2016. Shootings in the district were also down 20 percent in 2018 compared to 2017. Shootings in the district declined by 44 percent over the two-year period beginning in 2016. – District 10 (Ogden). Murders were down 27 percent in 2018 compared to 2017. Murders within the district were also down by 35 percent over the two year period beginning in 2016. Shootings in the district were also down 29 percent in 2018 compared to 2017. Shootings in the district declined by 40 percent over the two-year period beginning in 2016. – District 12 (Near West). Overall crime in the district was down 12 percent in 2018, compared to 2017. Murders were also down by 48 percent in 2018 compared to 2017. Murders within the district were down by 52 percent over the two year period beginning in 2016. Shootings in the district were also down 26 percent in 2018 compared to 2017. Shootings in the district declined by 35 percent over the two-year period beginning in 2016. – District 14 (Shakespeare). Overall crime within the district declined by 19 percent in 2018 compared to 2017. – District 15 (Austin). Shootings in the district were down 28 percent in 2018 compared to 2017. Shootings in the district declined by 42 percent over the two-year period beginning in 2016. – District 18 (Near North). Vehicular hijackings in the district were down 37 percent in 2018 compared to 2017. – District 19 (Town Hall). Robberies in the district were down 19 percent in 2018 compared to 2017. Robberies in the district also declined by 24 percent over the two-year period beginning in 2016. Shootings in the district were down 21 percent in 2018 compared to 2017. Shootings in the district further declined by 57 percent over the two-year period beginning in 2016. – District 20 (Foster). Shootings in the district were down 10 percent in 2018 compared to 2017. Shootings in the district further declined by 47 percent over the two-year period beginning in 2016, and shootings declined by 50 percent over the three-year period beginning in 2015. – District 22 (Morgan Park). Overall crime within the district declined by 11 percent in 2018 compared to 2017. Murders were down 36 percent in 2018 compared to 2017. Murders within the district were also down by 36 percent over the two year period beginning in 2016, and murders declined by 27 percent over the three-year period beginning in 2015. Shootings in the district were down 18 percent in 2018 compared to 2017. Shootings in the district further declined by 32 percent over the two-year period beginning in 2016, and shootings declined by 20 percent over the three-year period beginning in 2015. – District 25 (Grand Central). Overall crime within the district declined by 23 percent in 2018 compared to 2017. This is the greatest one year decline of any district throughout the city. Murders were also down 29 percent in 2018 compared to 2017. Murders within the district were further down by 31 percent over the two-year period beginning in 2016, and murders declined by 22 percent over the three-year period beginning in 2015. Shootings in the district were down 36 percent in 2018 compared to 2017. Shootings in the district further declined by 38 percent over the two-year period beginning in 2016, and shootings declined by 20 percent over the three-year period beginning in 2015.
robbery, burglary, aggravated assault, felony theft, motor vehicle theft and arson). and a 14 percent decline in juvenile shooting victims.